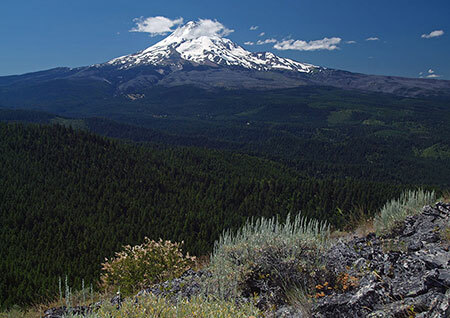 When the Omnibus Public Land Management Act of 2009 was signed into law by President Obama last year, most of the media attention focused on the new wilderness lands set aside in Oregon. 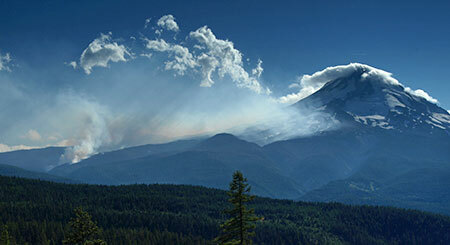 This included a number of new wilderness areas and expansion of existing areas around Mount Hood and in the Columbia Gorge. 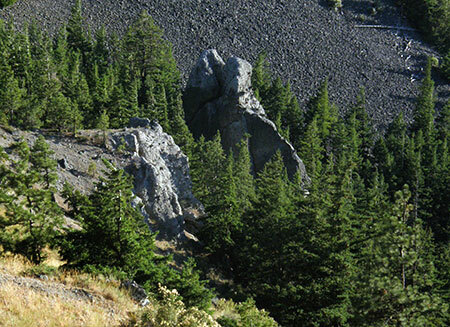 The difference is usually found in the fine print, where commercial logging or other extractive uses are allowed in the USFS version of a “national recreation area”, albeit with limitations, whereas such activities are never permitted under NPS management. 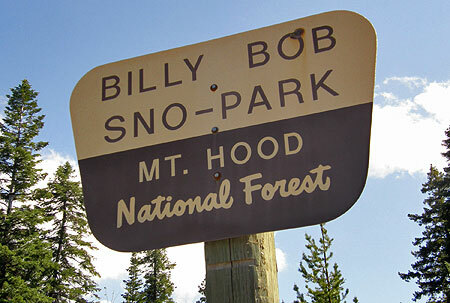 This is true for the new Mount Hood NRA, as well. 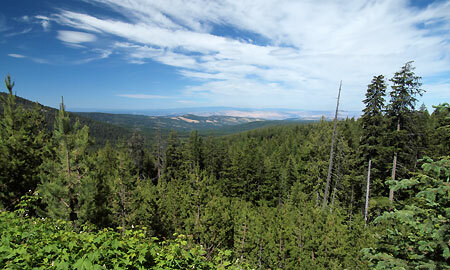 While the 2009 legislation called for the USFS to “provide for the protection, preservation, and enhancement of recreational, ecological, scenic, cultural, watershed, and fish and wildlife values” in the new recreation area, the Forest Service isn’t quite prohibited from carrying out the activities they’ve come to be known for — timber harvest and road building – unless the NRA overlaps a designated wilderness area. 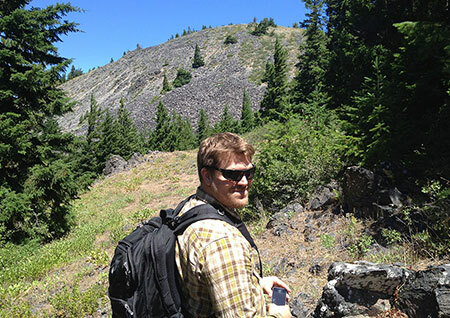 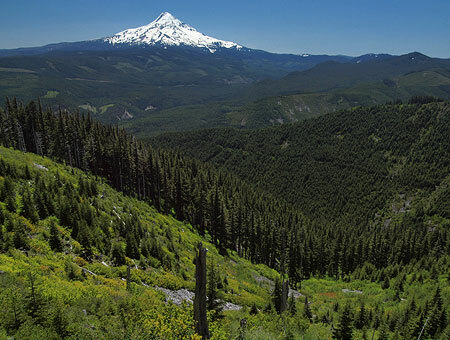 That’s a mouthful, but it does represent a major departure from the status quo commercial timber harvesting that the USFS has employed over the past sixty years across the Mount Hood region. 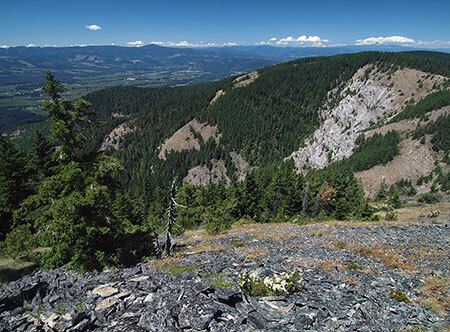 Simply prioritizing the “retention of large trees” is revolutionary for the agency, since these were the prime targets of thousands of timber sales over the past many decades under the pseudo-science of being “decadent” and “unproductive”. 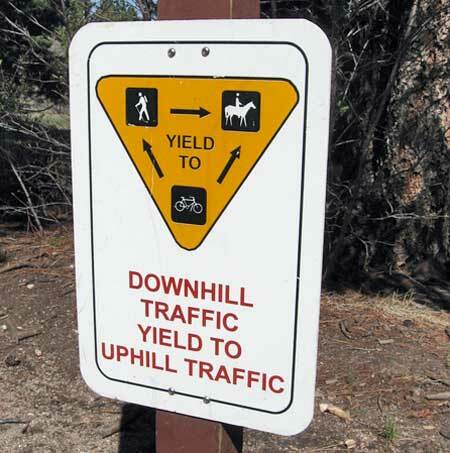 Another mouthful, and less of a change for the USFS, since pretty much any new road project could be justified under these criteria. 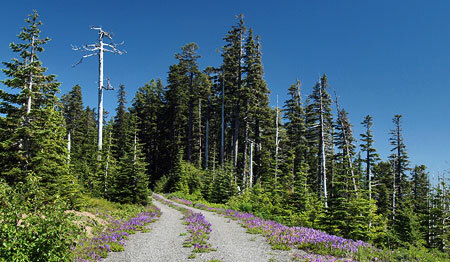 But in reality, the agency has experienced collapsing timber revenues and steep cuts in its operating budgets in recent years to pay for new roads. 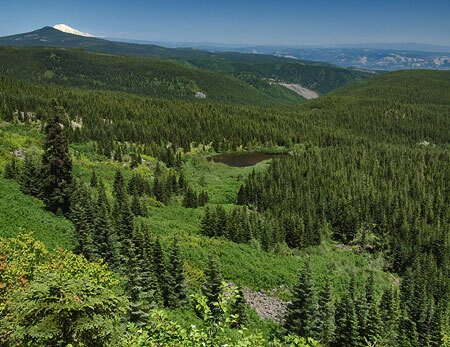 The road building era of the USFS is over, and the Mount Hood National Forest is among several that going through a process to plan for the closure and decommissioning of unneeded roads to reduce maintenance liability and enhance fish habitat. 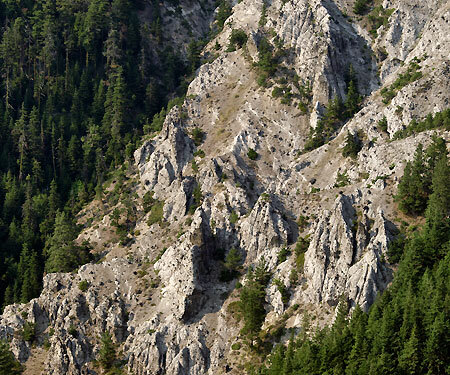 Nonetheless, the new legislation probably makes it a bit harder to build new roads within the NRA, even if the funds are available. 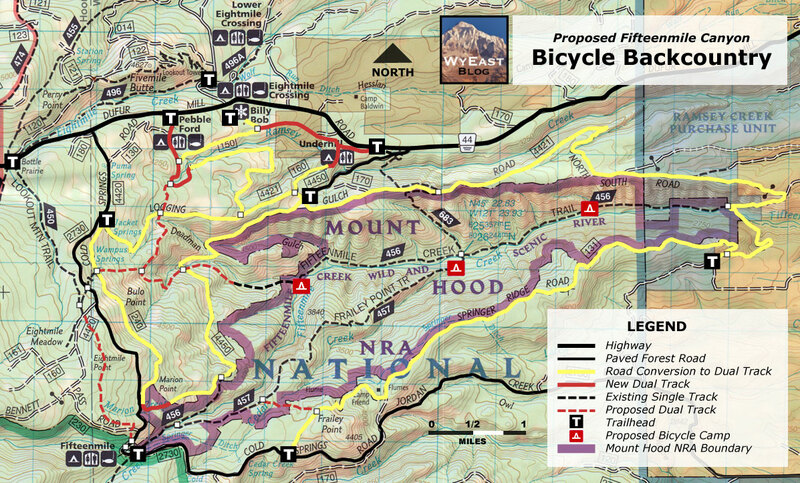 Bicycles – The act doesn’t come out and say it, but the driving purpose behind the creation of the Mount Hood NRA is to provide new protections against logging and development in areas that not only have a high scenic value, but are also popular with mountain bikers. 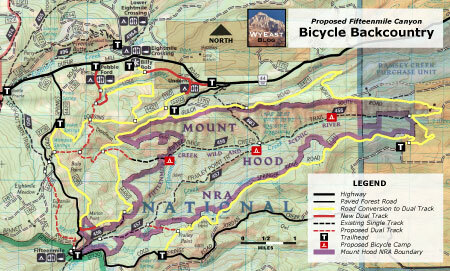 Because bicycles are not allowed inside wilderness areas (yet), the NRA designation became an important political compromise with bike advocates who initially opposed the legislation for the numerous areas that would become off-limits to bikes. 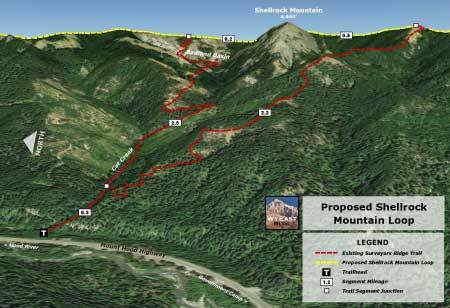 The implication in this intent is that the areas included in the “national recreation area” will be a priority for developing new bike trails and trailhead facilities, including the conversion of surplus logging roads to bicycle trails in some cases. 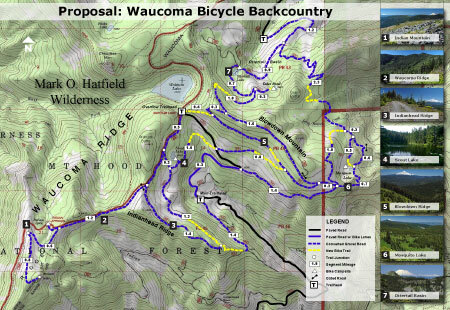 The act provided no funding for this new programmatic emphasis, however, so the work of building and maintaining bicycle trails in the new “national recreation area” will continue to be an uphill struggle, and require the help of volunteers. 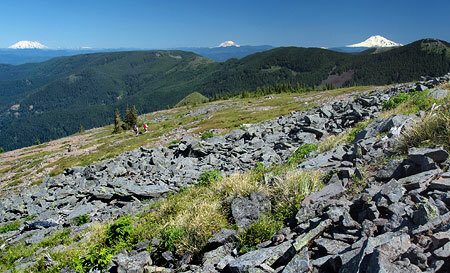 Where is the Mount Hood National Recreation Area? 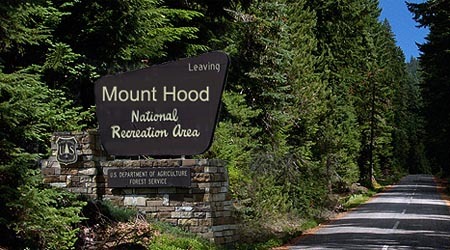 The three units of the NRA are located in close proximity to the Mount Hood Loop Highway, and easily accessed from the Portland region, and the communities of Mount Hood and the Gorge. 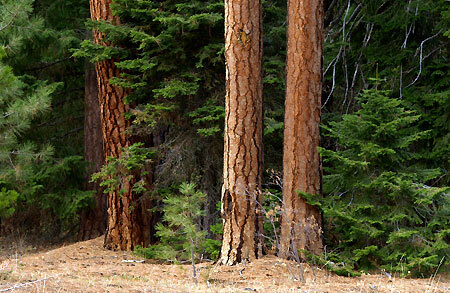 All three are already popular recreation destinations, so the new NRA designation simply embraces and protects this function, while ensuring that cyclists continue to have access. 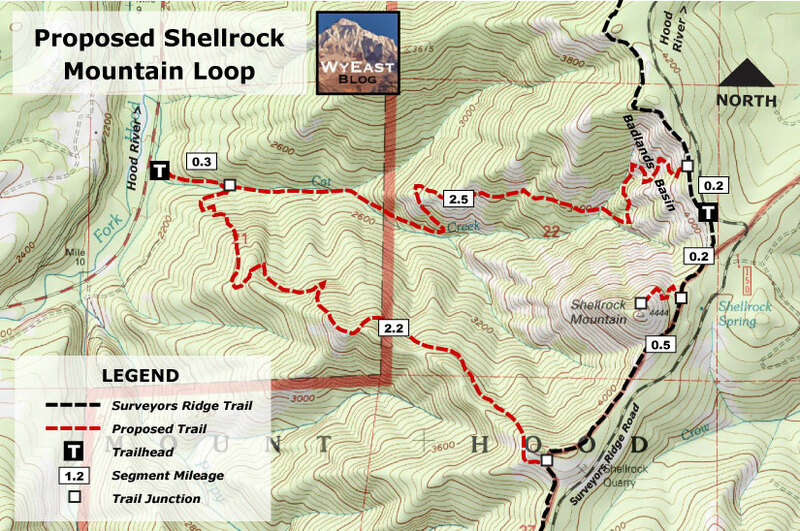 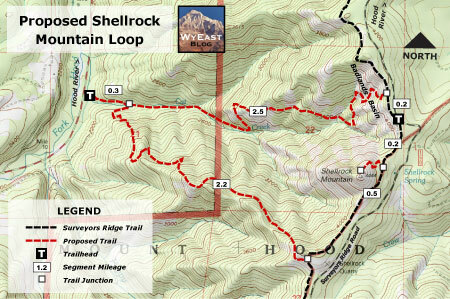 The Shellrock Unit (map below) of the Mount Hood NRA is the smallest and most northern in the complex. 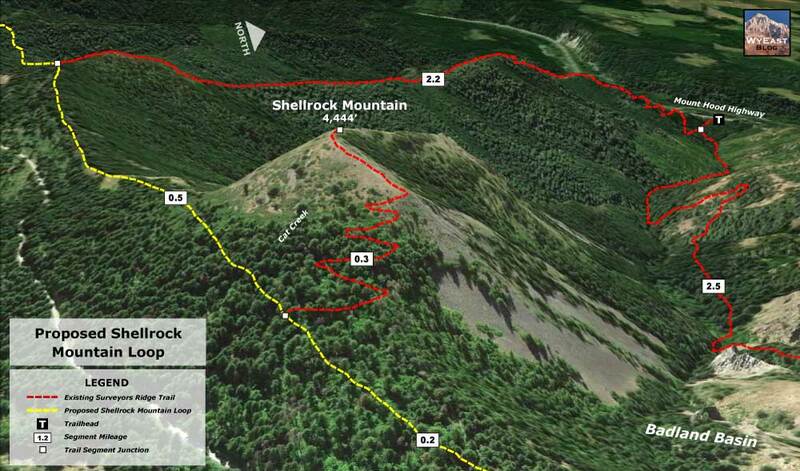 This unit is centered on the popular Surveyor’s Ridge trail complex that features miles of some of the finest single-track cycling in Oregon, and has easy access from Forest Roads 44 and 17. 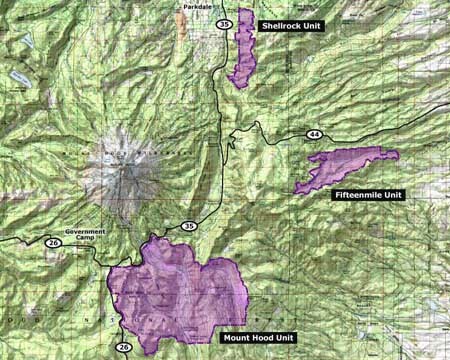 This is also one of the most heavily logged corners of the Mount Hood National Forest, and will require decades of restoration management to recover. 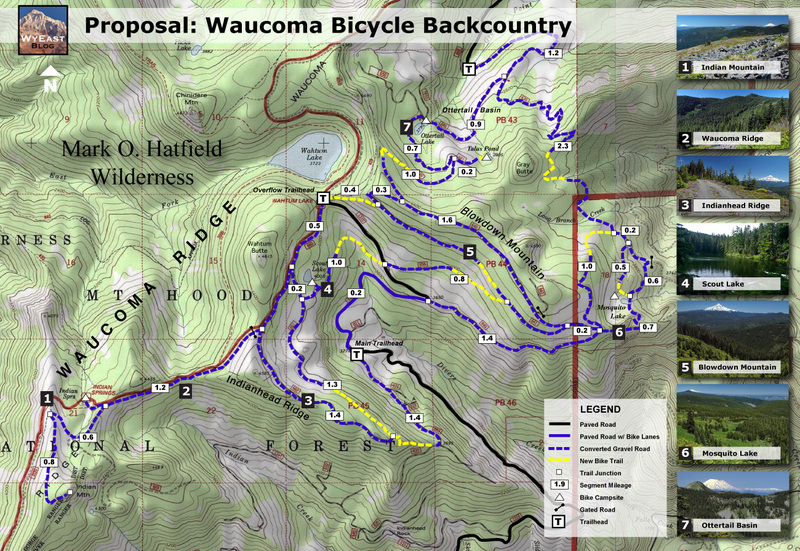 However, the extensive network of logging roads also serves as a prime candidate for conversion to single or dual track bicycle trails. 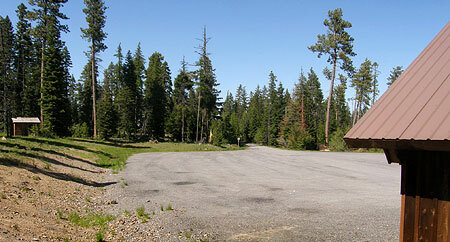 This area features some of the finest views of Mount Hood to be found, so the future is bright for recreation in this unit. 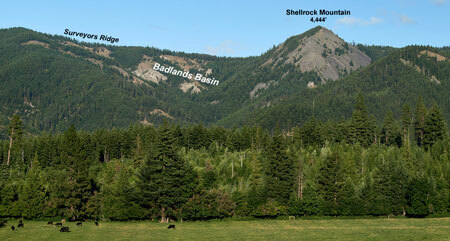 The Fifteenmile Unit (map below) is located due east of Mount Hood, along Forest Road 44, and adjacent to the Badger Creek Wilderness (located to the south). 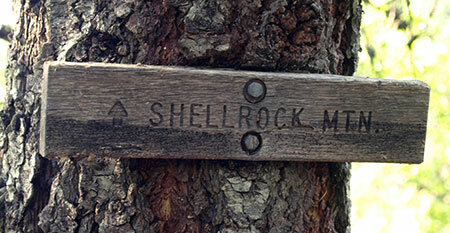 This is also a popular area with cyclists, and like the Shellrock Unit, this area has been brutally logged over the past three decades. 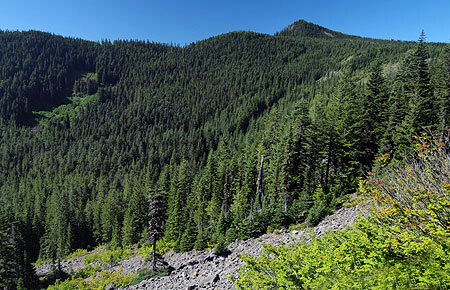 Worse, the remaining forest stands in the Fifteenmile Unit have been hit hard by beetle infestations and drought cycles, resulting in some of the most stressed forests in the Mount Hood region. 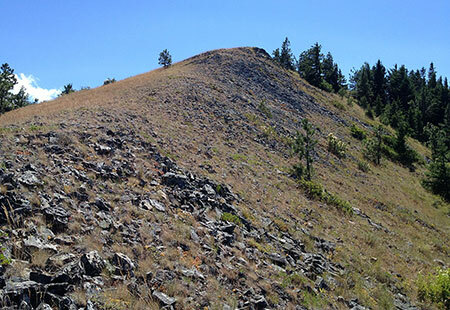 These conditions, combined with a century or fire suppression where fire is an essential component in the forest ecology has left a tinderbox just waiting for a catastrophic fire. 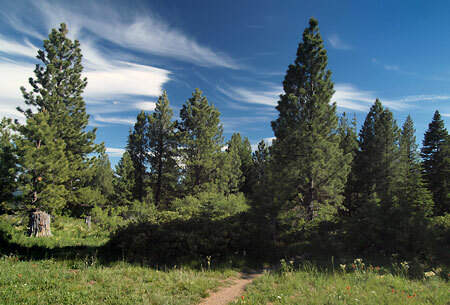 It will take decades of restoration management to bring back the parkland forests of ponderosa pine, western larch and Oregon white oak that once dominated the area. 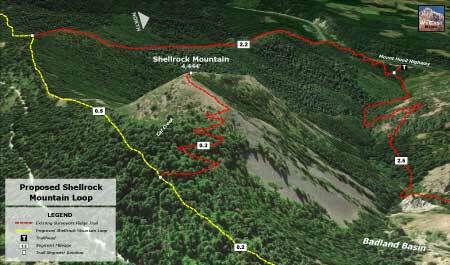 But as with the Shellrock Unit, the potential for converting logging roads in the Fifteenmile Unit to single and dual track bicycle routes is excellent. 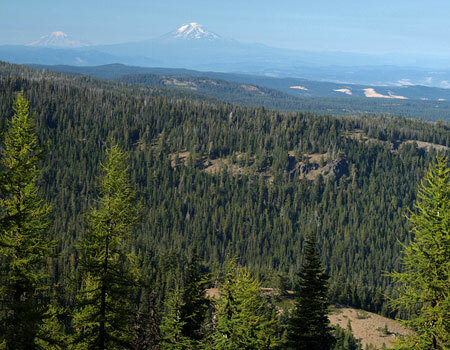 The area has a unique blend of high desert and Mount Hood viewpoints that already make it a popular destination, so the NRA designation bodes well for both restoring the forests and expanding recreation here. 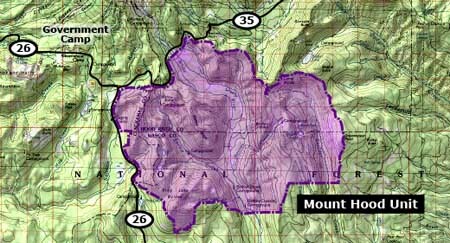 The Mount Hood Unit (map below) is the third and final piece of the Mount Hood NRA complex. This is by far the largest of the three units, extending from the Salmon River on the west to the Badger Creek Wilderness on the east, and encompassing a large segment of the upper White River valley. 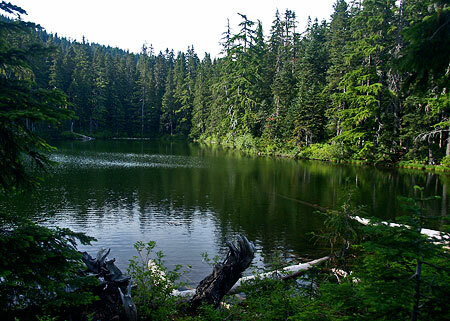 Unlike the other units, the Mount Hood portion of the NRA complex incorporates new wilderness areas, including the Twin Lakes, Barlow Ridge and Bonney Butte wilderness areas. 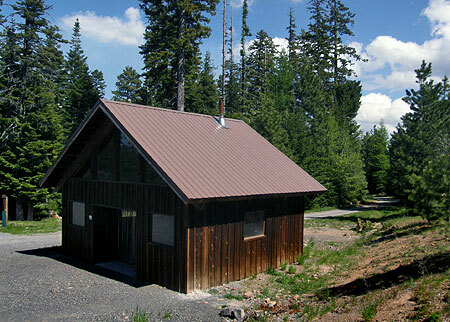 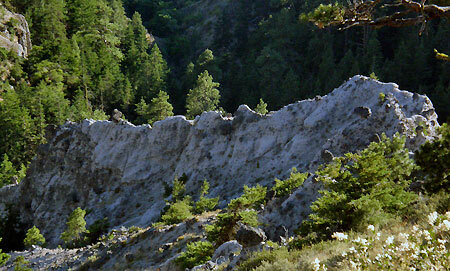 A segment of the Pacific Crest Trail passes through the west edge of this unit of the NRA. 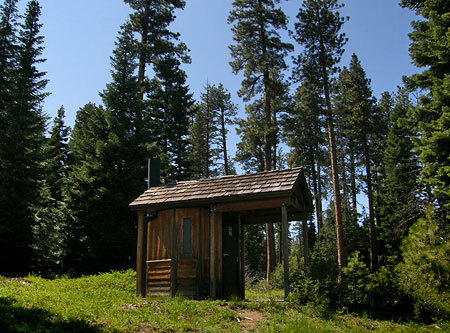 The range of recreation activities is diverse in this largest of the three NRA units, ranging from heavy winter use by skiers, snowshoers and snowmobiles, and summer use by hikers, equestrians and cyclists. 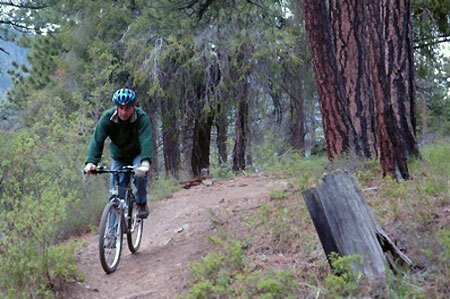 The most popular cycling areas are in the eastern portion, along the Gunsight Trail and in the vicinity of Bonney Meadows and the Boulder Lakes. 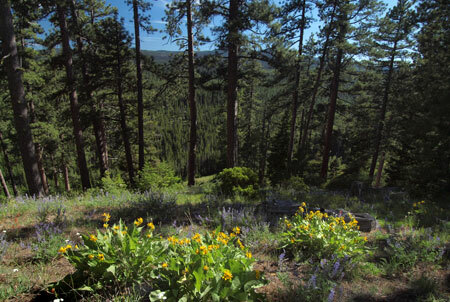 The eastern portion of this unit is also the most heavily logged, especially in the southeast corner of the NRA, near Boulder Creek. 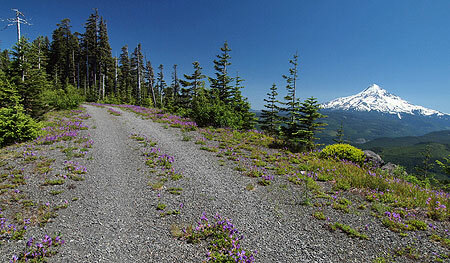 However, like the Shellrock and Fifteenmile units, the logging road network in the Mount Hood unit provide an excellent opportunity for conversion to single or dual track bicycle routes. 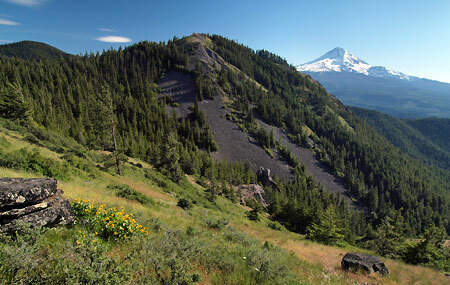 In the near term, the new Mount Hood NRA functions mostly as a curiosity, though in time it will shape USFS decisions on forest management. The main benefit in the short term is more protection for recreation in these areas, and perhaps expanded opportunities for bicycling. 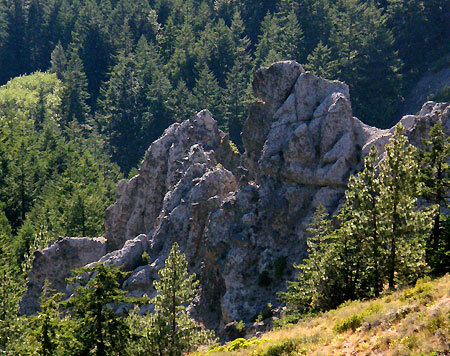 But in the long term, the designation has an intriguing possibility of serving as a steppingstone to National Park status. 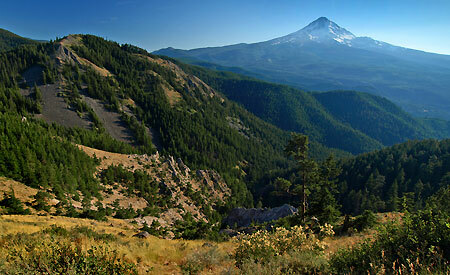 For example, it could be eventually expanded to cover a much larger (or all) of the Mount Hood National Forest. 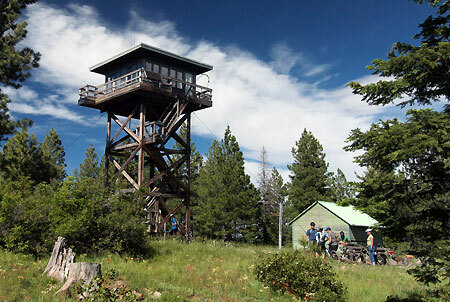 This could happen in the near term, as demand for recreation from the rapidly growing Portland area continues to outpace what the Forest Service is able to deliver under its current management approach, and is clearly the preferred public use for the forest. 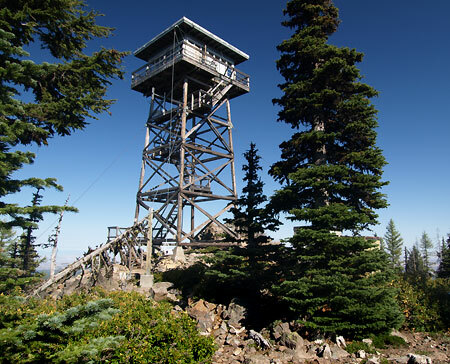 Thus, if a large portion (or all) of the Mount Hood National Forest were to be designated as an NRA, the step to transferring the area to the National Park Service becomes much more plausible, since the Park Service already administers a number of NRAs under its jurisdiction. 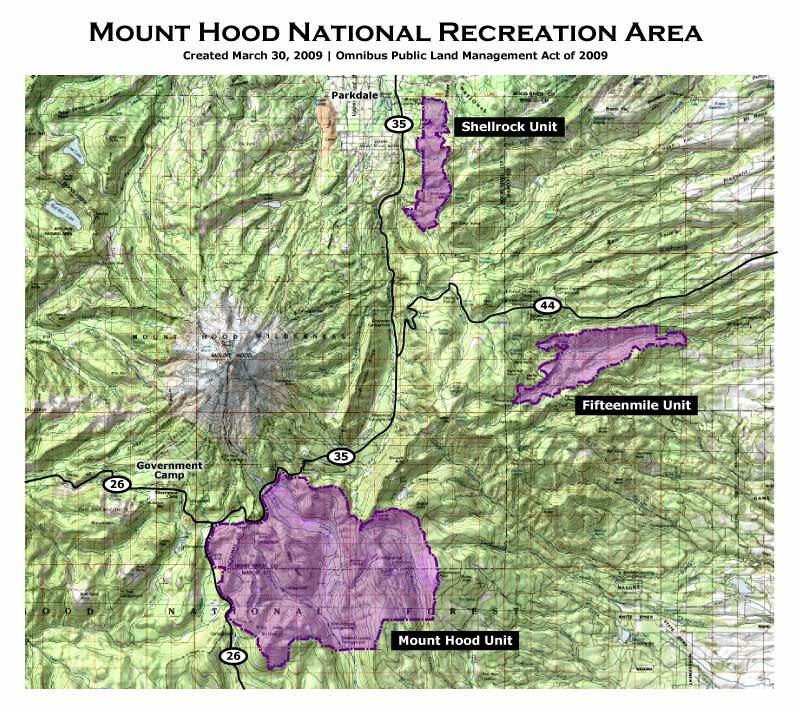 In this way, an obscure, almost accidental element of the Omnibus Public Land Management Act of 2009 might have paved a new way for Mount Hood to finally join the ranks of other national parks.